When I dug out my much-loved and much-worn Zara wedges the other day (to wear with the new dress in this post) I was forced to face a cold hard fact. As much as I do still love them, they are falling apart. The stitching is coming away at the ankle straps and they are slightly stained (I know - ugh) with several years' worth of sun cream and fake tan. In short, they are officially knackered. I shouldn't really have been surprised. I've had them so long that I can't even remember buying them. Sometimes, classic pieces just seem to look good year after year and you only end up saying goodbye to them when you've worn them to death. That's definitely what I've done with these wedges, and since they were my one and only pair, I decided it was high time I went looking for some new ones. Now I normally have great difficulty in replacing a favourite item. I want the new to be exactly like the old and find it difficult to be satisfied with anything else. On this occasion, however, I simply walked into the shoe department of my local New Look and fell instantly in love with these. 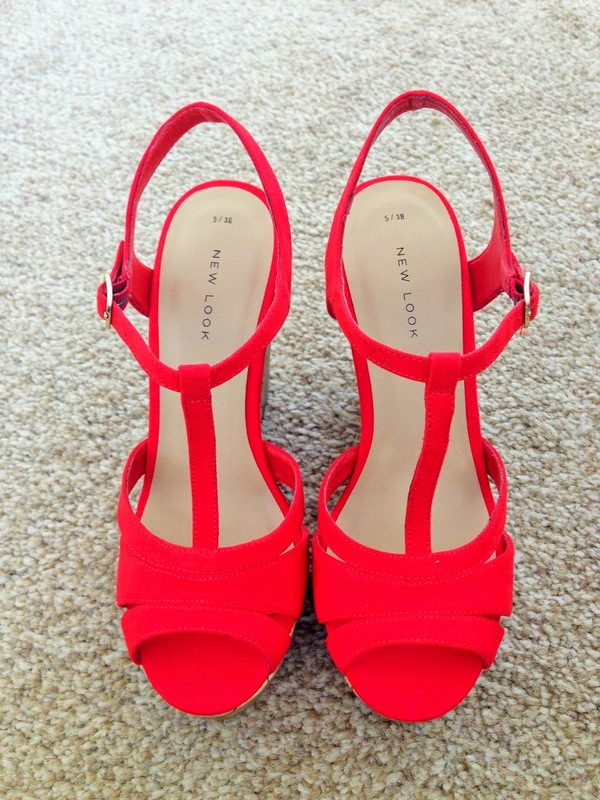 For me, these are the perfect wedges. I don't tend to like them too chunky or with too much of a platform at the front, and the proportions of these are spot on. They're also comfortable and easy to walk in... and they're under £20. When I found this out, I'm not ashamed to say that I had absolutely no guilt about buying them in red too. Black goes with everything, of course, but I just couldn't resist the red ones and think they'll look amazing with little white dresses in the summer. They're also available in navy and mint green. Those are lovely too, but I think I'll stick with the two pairs... at least for now! What's your favourite summer purchase so far? 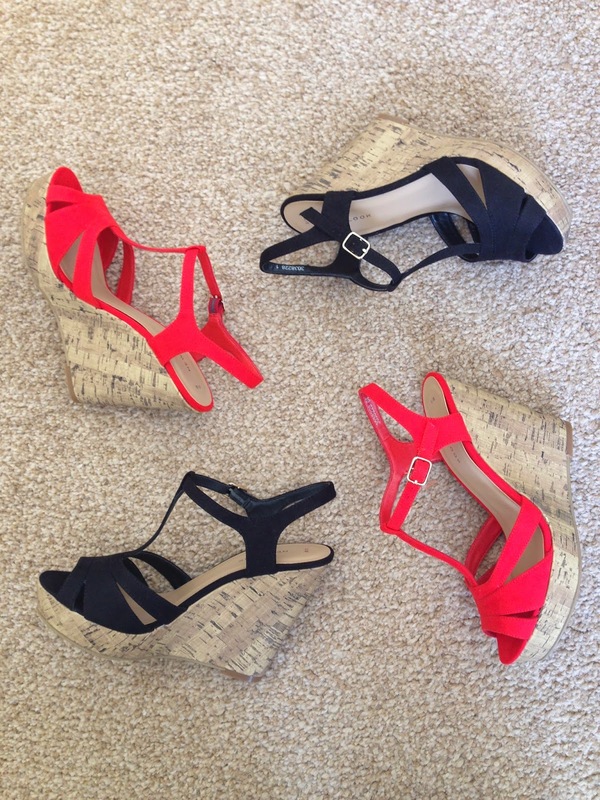 Super love the colors of the wedges. Love both of those wedges..I just can't help myself buying black when I go shoe shopping :P The red ones look so gorgeous and trendy..I may just buy a pair in the same color! !